I have been fascinated with crystals since I was a little girl. And when I was 20, I began incorporating crystals into my rituals, and quickly discovered they were freaking magical. I spent most of the last decade learning more about the healing and transformative properties of crystals, stones, and metals. And I wanted to share that magic with you. For the Holy Days this season, I wanted to offer something that incorporated my deep love, and connection with sacred stones, and powerful tools for manifesting as we move into the New Year. And thus… The Manifestation Crystal Boxes were born! A 45 minute Intuitive Session - We will look at your BIG Vision and manifestation intentions, & I will channel guidance for you. Access to my Crystals for the Moon PDF - A document with details about my favorite stones for each lunar phase. 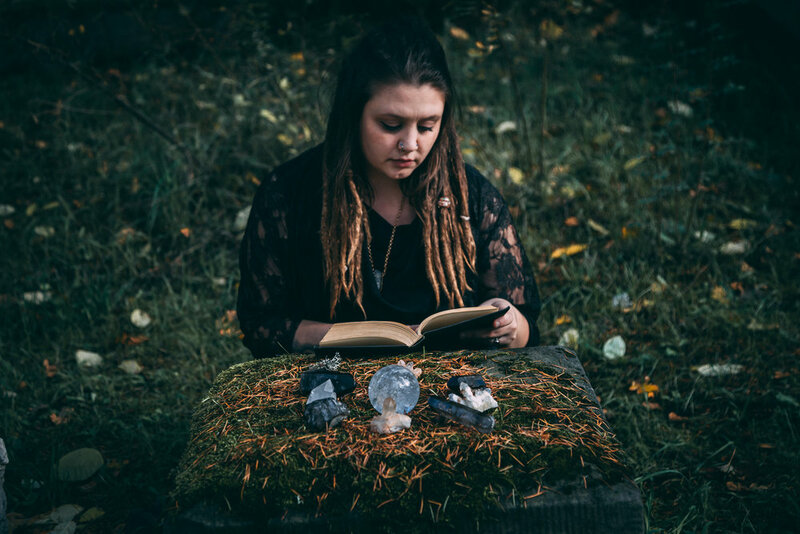 A Crystal Manifestation Session is designed to provide you with DEEP clarity on how to move forward as the Wheel of the Year makes its final turn. We will schedule a 45 minute Session where I will tune into your intentions and goals, and channel any divine messages that need to come through. We will explore what your big vision is for 2019, and we will develop a plan to bring you into deeper alignment with your truth, so you can achieve all of your goals for the New Year. After our 1:1 session, I will personally choose and charge a magical box of 6 crystals just for you and send you your Crystals for the Moon PDF. Then I will program each stone to support a unique aspect of your manifestation process, and ship it directly to your door, in time for Solstice Day Celebrations. because it’s the end of 2018 and I love you and I love crystals and why not? 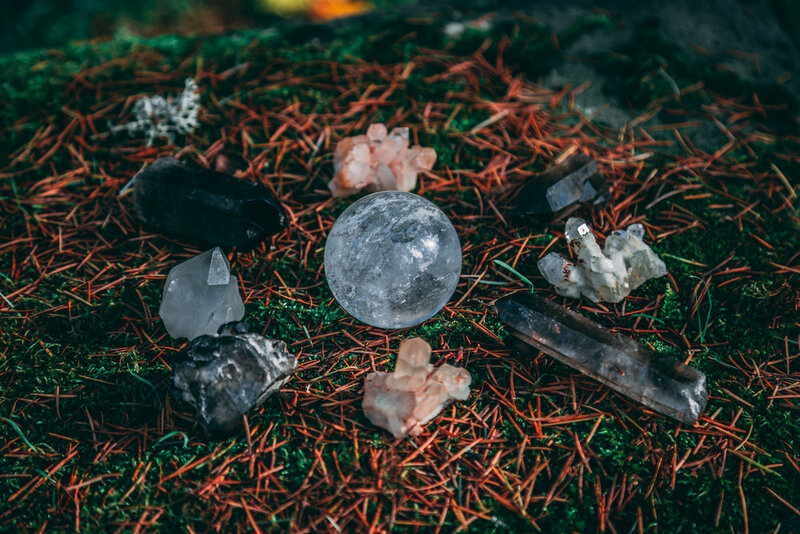 If you love crystals, and you have some serious magic to manifest this coming year. I created this for you! I am ready to help you take your manifestation game to the next level. I am here to help you start 2019 off with power, & to make it the best year yet.